Just rode it yesterday. WOW! It looks great, all of the new effects are really cool, and seeing as the line was a 30 minute wait when I got there, I think the general public loves it too. My only complaint would be the lack of merchandise at the exit. There is a cart there selling....Nightmare Before Christmas stuff. Cool, but they could have really added some new Haunted Mansion merch to tie in to the renovation. The audio in the stretching room is great....you really get the 360 degree effect no matter where you stand. And the addition of the creaking helps to create the illusion of the room really stretching. This will be a definite ride every time I got to the Magic Kingdom. Great work!! 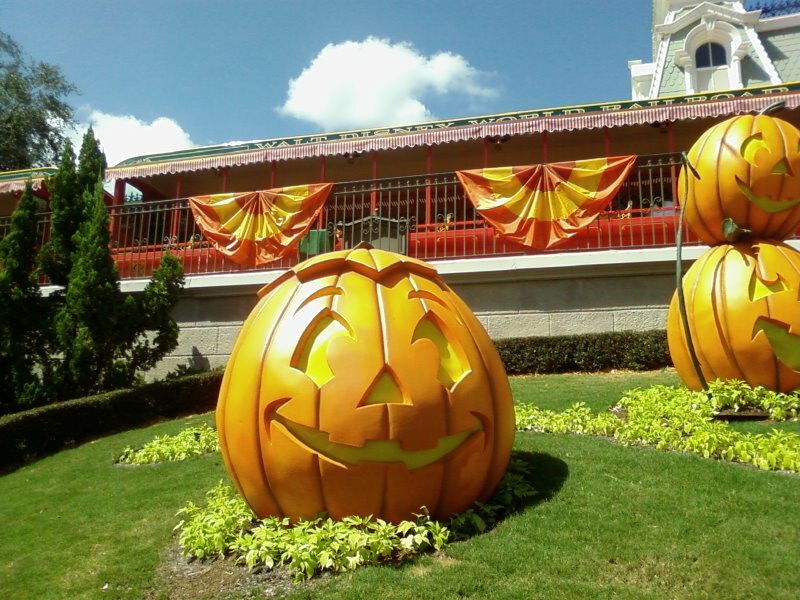 And the park is all decked out for Halloween....1 1/2 months early! Of course, the 1st Mickey's Not So Scary is Friday Sept. 14th. I love the fall....now if only the temperatures would become more fall-like in Orlando! RailBlazer wrote: Thank you for the kind response! My comment about the record "The Story and Song..." was only to reference the Hatbox Ghost and the line that describes him. I realize that isn't the "story" of the Haunted Mansion. 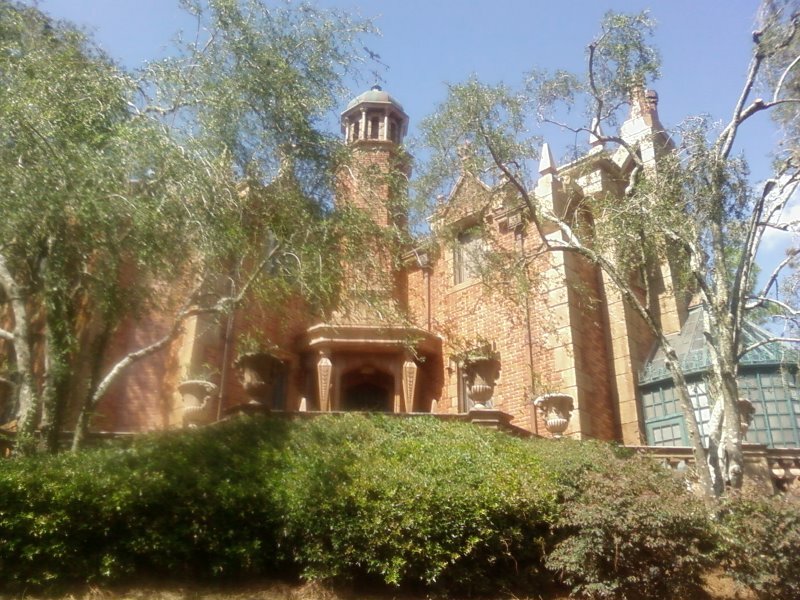 My point is, the Haunted Mansion hasn't had a real story and has been around for nearly forty years. I don't see a reason to give it one now. It simply is a trip through a haunted mansion. Very true, but if you talk to the cast members, they do have stories to tell. Some of them anyway. At the WDW mansion, we do have a ghost gallery, which are a collection of stories about the people in the mansion. Everyone from Master Gracey all the way down to the Graveyard pop ups. These stories don't necessarily tie together the ride, they are more little biographies of everyone. The stories are also not considered "official storyline" but, from what I know, the true story writers of Disney don't mind us telling them. I guess Constance will have to be added. Because the bride was so pivotal in the interweaving lives of everyone else, she'll be fun to do. If you'd like to see the ghost gallery, there is a version of it online. As for DL, I have no idea. It is strange how many things are changing at WDW, just in a few month or weeks. You're soooooo right! I saw today on a trip report that the wing of the Contemporary Resort where I stayed with my family during a trip in high school (1992), was demolished in January and a new wing is being built! Lotsa changes since the last trip. World of Motion, Living Seas, MGM Studios, Hard Rock Cafe at Universal, Back To The Future, Nick Studios, Horizons, Wonders of Life, Pirates of the Carribean, etc...have changed radically or been taking out. Even this Haunted Mansion rennovation is a bit unnerving despite it's cool factor. Even so, things must, and do, change in time. A little sad, yes. it looks great now! even as I remember it from last time it looked great even then, I guess disney never ceases to amaze me! Intamin is my way of life! Get High on Roller Coasters, not Drugs! Some of you may already know that the Magic Kingdom's Haunted Mansion just reopened after a lengthy refurb. The attraction was in a dire need of one due to poor visuals and sound, as well as its reliance on early 1970s technology. MK's mansion is now on par with the one in Disneyland, but they added a few new surprises. I will first post the video. It is very difficult to get really good video footage of the ride due to the low light. It is not a full onride video, but I did feature footage of all the new effects/additions. I tried my very best using the best stuff I was able to get from three rides. If you turn up the brightness of your monitor, you may be able to see some more detail. I will go into more details to explain some of what you see in the video a little later. Ok, onto some details on the video, since it is quite dark. From a little over the 1:00 mark until 2:28 does feature the newly enhanced stretch room. The biggest difference is all the work they did to improve the sound. Instead of the Ghost Host talking from some random speaker in the room, his voice now "floats" around the room in a 360 degree fashion. They also added quite a few new sound effects such as elevator type sounds, squeaks from the stretching of the room, as well as bats fluttering and a tremendous crash at the end thanks to a new subwolfer in the room. They placed the old "eyes moving portraits" that used to be in the first room of the ride into the loading area. This is because they completely changed the first room with some new effects, which I believe is very similiar if not the same as the one in the Disneyland verison's loading area. While it is very difficult to pick up on video (2:49 to 3:03) there is a new lightning effect outside a window that illuminates a series of portrait paintings. When the lightning flashes, the paintings are quickly illuminated to reveal that the portraits have a much more sinister character. From 3:33 to 4:02 shows off the new stairway room. This used to be the old spider room right after the organ room. Basically it features a bunch of upsidedown staircases with green footprints that mysteriously appear. The video does not do it justice. They also added a set of new illuminated eyes that brings you into the next area. They did improve the Madame Leota crystal ball effect. It is a little different than the one at Disneyland since MK's moves slowly in a upward/downward fashion. The movement in the Disneyland version has a bit more action to it as it moves in a faster, multiple direction type movement. Kind like a figure-eight on its side. The party/dinner scene is the same, but they really cleaned up the visuals/audio. As far as I can remember the new attic scene is pretty much exactly the same as the one at Disneyland. If my memory serves me well, I believe that the Bride at Disneyland looked a bit better. I think with a little more tweaking, they will be pretty much the same. The Graveyard now features much better audio and they really cleaned up the visuals. The also placed a few popping heads behind some of the gravestones (since they removed the ones out of the Attic). The singing busts look a LOT better now. Again, the rest of the ride seems pretty much the same as always, but it really has been cleaned up. Yes, I really liked the new enhancements to the ride. I would say I like it better than the one at Disneyland but honestly, other than a few different effects, they are pretty much the same now. I am happy that WDW put the time and money and fixing up this classic ride to the status that it richly deserves. Erik, it looks really cool!!!!! can't wait to go! I`m looking forward to checking the new-and-improved Florida Mansion in October--good to hear that it`s finally received the love it deserves. 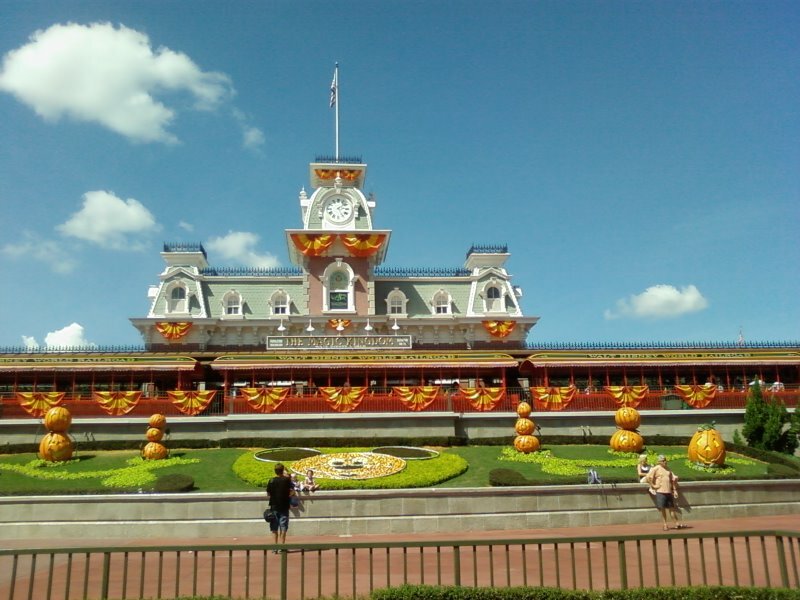 I saw a video last night of WDW HM that was recorded with binaurel sound. It was pretty impressive. Was neat how they moved the turning marble busts to the shelves in a library scene. Seemed like they changed the wallpaper in the stretching room. Also seemed like they added more ghosts during the dining scene, especially near the pipe organ. There was other small stuff I noticed, but agreed, it was a worthwhile update. For grins, anybody have a pic of the infamous vibrating spiders? I vaguely remember them but would like to see them again for comparison. I have a few pictures from that same visit, as I went down with Erik. As Erik said, it's difficult to get good video, and the same applies to stills. Even with a mini tripod and a high ISO setting, taking pictures from a moving Doom Buggy results in fairly blurry pictures. If Picassa stops crashing, I will post them here.